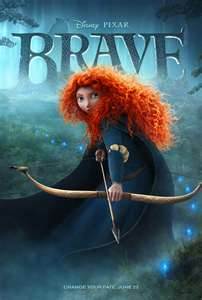 Brave is Pixar’s first arrow shot (literally) at a period movie featuring a princess. It’s about time. Set in the Scottish kingdom of DunBroch, Merida is a headstrong princess who loves archery living with her triplet devilish brothers, her father, King Fergus and her mother, Queen Elinor. In Merida’s opinion, she and her mother couldn’t have been more unlike each other – especially when Elinor invites three clan leaders to present their first-borns to compete for Merida’s hand. This leads to a big falling out and Merida heads into the forest. She meets a woodcutter witch – your typical Disney hag complete with the warts and broomstick – who offers to change her mom in order to change her fate about the marriage. The literal “change” casts a spell on her mother and threatens Merida’s family along with the entire kingdom. Merida sets about a journey filled with magic, danger, and love to undo her selfish actions. I would go as far as to say that this has been Pixar’s darkest movie yet. It’s a fresh heart-warming tale about mother-and-daughter bonding with comic relief provided by the mischievous triplets – however, I regretted bringing my 5-year-old cousin with me to the theaters. Her eyes were squeezed shut whenever the vicious bear Mor’du appeared on screen. Pixar did a fantastic job of building up anticipation in every scene – I kept expecting some unforeseen danger to pop up even in the light-hearted scenes. At some points, the entire spell-changing fate kerfuffle was quite disturbing – the idea that someone as dignified as Queen Elinor could turn into a wild bear may be unsettling for younger viewers. Even so, my other 7-year-old cousin cried and sniffed loudly during one of the poignant mother and daughter moments. Brave offers many important life-lessons about relationships and responsibility, to have the courage to face one’s mistakes. Merida breaks the tradition of the Disney princesses. She’s not your typical princess but I see her as the youngest and the most relatable. Her spontaneous and courageous personality will draw viewers of all ages. 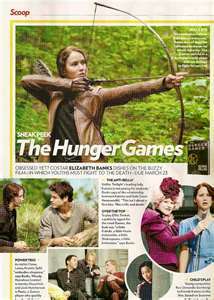 Ladies and gentlemen, may I present to you the 74th Hunger Games! Directed by Gary Ross, flash forward into this post-apocalyptic setting, and the world as we know it has fallen. The shining Capitol rose out of the dust and chaos, and underneath are the 12 districts, each serving its own function. To remind the citizens of their power, the Capitol holds an annual Hunger Games, a twisted source of entertainment for all of Panem. 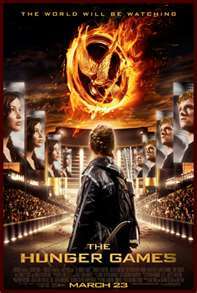 One boy and one girl (called tributes) are selected from every district to participate in the Hunger Games, a fight to the death. 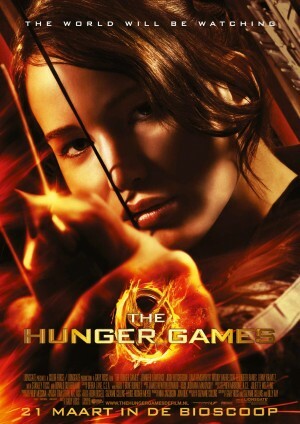 Katniss Everdeen (Jennifer Lawrence), a 16-year-old living in District 12, one of the poorest districts, manages to feed her mother, her beloved younger sister Prim, and herself by hunting in the off-limit woods. Katniss’ world is turned upside down when Prim is chosen as a tribute, and bravely volunteers to take Prim’s place in the Hunger Games. Peeta Mellark (Josh Hutcherson) is her tribute partner, and they must play the angle of the star-crossed lovers to win the Capitol audience’s heart. 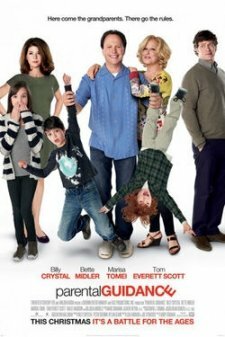 This was one of the best adaptations I’ve seen in a long time. It stayed true to the book as much as possible, and we (as an audience) are definitely sucked into the story, applying our background knowledge from the books to every character that appears on-screen. Jennifer Lawrence embodied her character from head to toe. She became Katniss – her audacity, independence, and nerve shines ever so brilliantly on screen. Lawrence also brought out Katniss’ flaws, enabling fans to relate, connect, and love her as a well-rounded character. Josh Hutcherson is perfect as the easygoing, sweet, gentle Peeta, and Liam Hemsworth, with what little screen time he had, immediately established himself as the tough hunter Gale is. Woody Harrelson acted a lot like the Haymitch I imagined. 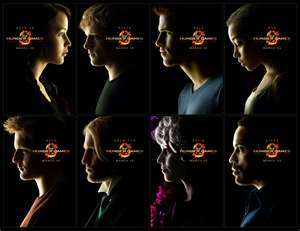 Fans will not be disappointed in the roles of the tributes – although many are first-timers, they portrayed their characters flawlessly. I still wish they had more screen time, even though the movie is already two hours and twenty-two minutes long. The pacing is well done; audiences won’t squirm, but rather, their eyes will be riveted on the screen. The shaky-cam style wasn’t really my favorite – it was a relief when the camera stood still. Even so, it was a good technique that gave us quick, choppy shots that hid most of the violence. And so now, to my initial conflict. Based on my review, how do you think I liked it? I liked it very much, and that was why it bothered me. How can someone say that they like a movie about kids killing kids? The Capitol audience is entertained by watching the Hunger Games. We pay to watch the movie The Hunger Games. What difference is there? When you root for Katniss to win, you want everyone else to die. As I was in great conflict, I wondered why I didn’t feel this way in the books. I came to the conclusion that Katniss’ anger towards the Capitol isn’t as prominent in the movie than the books. That moment with the berries is supposed to be monumental, something that will be remembered, but in the movie, it was over in a flash. Even so, her survival and willingness to give up her life for others still manage to win me over. The deaths and killings are no way over glamorized, and I’m happy to report that the violence was toned down, true to its rating of a PG-13. We are not meant to cheer for the deaths. Even those who are part of the “bad” group reveal that they are simply hurt and scared, pawns that have been used in the inhuman system of the Hunger Games. Check out my book review for the Hunger Games, and tell us your opinions below!